A recollection of events as seen from the eyes of the Keelish people of Kleriel. A marshal society, emphasising strict discipline, public service, and self sacrifice, the Kleriel Imperium has for over a thousand years been one of the foremost powers of the North. As one of the three founders of the original Northern Alliance, it has since had a profound influence on Alluran affairs. Both in its contribution to the security of the northern seas, and in its willingness to counter any perceived threat to northern stability. In its infancy, Kleriel was a fragmented Samurai society, held together by race and honor, isolationist on its peninsula they call Kesada, the southern most point of Nordrenya. Even though there were plentiful skirmishes fought between the many Keelish clans of Kleriel, they never engaged in all out war. Fighting over minor disputes, often times sparked by dishonorable acts, the clans eventually agreed on a union. A non-aggression pact was signed between all the clans to honor bind them against fighting, and a single clan was elected by the Daimyo who would enforce peace, should any two parties decide to ignore the pact. This one clan was the strongest amongst them, and eventually it managed to reform this union of Keelish factions in to a single unified Keelish nation. With this clan’s population and military strength on the rise, the other minor clans began to rely on their protection more than just for upholding internal peace. With peace secured and the people unified, the idea of braking one’s word and dishonoring one’s family, friends, or liege, became one of the biggest stigmas in Keelish society, as in the past such actions often times lead to conflict, which resulted in many unwanted deaths of un-involved individuals, lead to battle by their warlords. Instead, the Keelish would now exact punishments for oath breakers in a more lawful manner. As such, no highborn could dishonor another, and then hide behind their family’s troops, as those same troops were now sworn to the Archon first and foremost. A few uprisings to challenge the Archon’s authority did occur, all of which were swiftly struck down by not only the Archon’s own clan, but the combined might of the rest of their allies who supported their cause. Since then, the Keelish have always followed the Archon’s will almost fanatically. Together they were strong, and treason became one of the worst offences imagined. Over the generations, the peaceful and isolationist ways of Kleriel have brought forth many great thinkers instead of warriors. With Keelish already naturally adept in the arts of magic, these great minds furthered their knowledge of the arcane, eventually discovering the magical properties of redstone, and its industrial potential, jump starting an industrial age very early on. Redstone was first used as a power source to run production in manufactories, then other practical uses dawned, such as redstone doors, elevators, redstone rails, the clock, redstone pumps, and many other. At the same time, the enchanting potential of Lapis Lazuli were being discovered. The heads of these scientific, magical, and industrial endeavours became known as Magisters. These same Magisters would eventually demand greater say in Kleriel’s politics, with great swaths of the nation’s economy in their ownership, the Archon complied, and formed the Conclave. The Conclave is the main governing institution of Kleriel. Headed by the Magisterium, they would collectively decide on matters concerning the state. The Magisterium consists of many influential and wealthy individuals called Magisters, who have had a great impact on the advancement of Keelish society. These Magisters are appointed by the Archon, and are the only ones who are allowed to cast their votes on ongoing issues. There is a branch of the Conclave called the Publicanium, but it was less of a governing body, and more of a council to which submit issues to for the Magisterium to have a look at. The Publicanium has limited authority and can only deal with minor issues below the concerns of the Magisterium, while issues of even greater importance were brought to the attention of the Archon. Magisters are only ever granted the title if they have a large enough impact on Kleriel, or could pose a threat should they find it unjust for them to have greater influence and responsibilities within the nation, yet no word in the direction it goes. Already appointed Magisters dislike the idea of newcomers, as it means there are more opinions to consider, and yet more people to sway to their own cause to gain their vote for something they want to achieve. It is because of this that Magisters have actively worked on creating monopolies in each their own field. Be it industrial, agricultural, scientific, cultural, military, or arcane. There has yet to be a Magister to secure complete dominance in any of these fields, but they still try. It is because of this that Magisters are inclined to compete for the favour of the Archon. The title of Archon is not hereditary however. Kleriel is a technocratic meritocracy, heavily emphasising on rationality and the achievements of the individual. For a person to become Archon, they would require to be one of the top educated Keelish of the realm, as well as hold substantial influence on the internal happenings of the empire in any one or several fields. In the past, this was the dominant warlord, but times have changed. The Archon is therefore elected by the Magisterium, it usually being one which seems ‘‘most fit to rule’’, if not one who would give them what they want, or overlook their mistakes. The Magisterium is lead by an Arch Magister, who is the elder of the organisation, and acts as their guide and mediator. Most of the time, the Arch (titled heir to the Archon) is one of the Archon’s own children, as they have been educated and raised for the position from childhood by only the best and most expensive tutors (besides the Archon themselves), only affordable to the wealthiest of the realm. And since it is the Archon who appoints Magisters, they naturally support one of the Archon’s heirs as the next Archon to gain their favour. Only when the Archon was in opposition to the majority of the Magisterium would they elect someone else, and this has only happened twice in history. With rapid advances made in both technology and medicine, the Keelish population boomed and spread across lands further from their home peninsula, settling deeper in Nordrenya, and even on mainland Vellanora. These colonies were short lived however, as these lands seemed to have been densely populated by other humanoid races, most of which were tribal, and aggressive. Many conflicts were fought with the ‘‘mainland savages’’, but with Kleriel’s inability to stage an all out invasion of an entire continent, due to their technological advances being made in anything else but warfare, these first colonies were either shortly abandoned, or wiped out by the natives. Because of their past failure to seek new lands further afield, the Keelish turned inwards to work on their homeland first, deciding in their pacifist ways that going back to Vellanora would only mean more death for their people, against a foe who likely had no idea what was even happening, or why. With Keelish population still rapidly increasing, many of the beautiful and pre-planned cities turned in to rushed and crowded metropolitan areas of stone, steel, and concrete. Due to this rise in population, food supply became an issue when the many farms on the outskirts of cities were outdated and run by peasant families. To cope with the increased demand, Magisters began to invest in the creation of bio-labs, where food would be mass-grown in pristine conditions. Bread, fruits, vegetables, and fish became standard commodities, while other types of animal meat, as well as milk and eggs, were rare, expensive, and mostly only enjoyed by the wealthy. It is in this time that cuisine such as sushi and tofu became popular. With their old colonies being dead for nearly an age now, the Keelish sought to return to these distant lands to study their ancestors, recover whatever they might have left behind, and hopefully learn from their past mistakes, and how to avoid making similar ones in the future. Savages were still present in these regions, a number of which had to be subdued. One such savage was captured and brought to Kleriel because of his outstanding physique and apparel. When they finally achieved a mutual understanding, he revealed he was Marcus of Valkoria. It was at that moment the Keelish realised they might be on the brink of meeting another civilisation equal to their own, and a militarist one at that. With stories told about the militant and expansionist Valkoria, conquering and enslaving many lands and people in and around their own peninsula, nearly half a world away, the Keelish worried what it would mean to come up to such a nation and people, appear as a competitor, and be perceived as a rival. To avoid, or rather delay the worst, they kept away and thought to ‘‘dispose’’ of Marcus. As time progressed, foreign ships were encountered off of the shores of Kesada. Foreign merchants of strange cultures selling their odd wares. The Keelish did not harm them, but through them, they came to meet their two closest neighbours on Nordrenya. Roklavia and Danheim. Because of their own piracy and raiding, both of these nations have sparked the ire of Valkoria, threatening to come north to deal with them once and for all. Fearing what this would mean for the north and their own sovereignty, and most importantly, their own imperialist ambitions, Kleriel joined the two in a defensive pact to keep the north safe, and to keep the south… in the south. This defensive pact was hoped to be expanded upon by Roklavia to include several other nations from Vellanora they have had good trade relations with after the Roklavian queen managed to seize total control of the nation, and subdue the pirates to serve her exclusively as privateers. These new would be members were Maruba, Lasenor, Lexindon, and Trojiem. 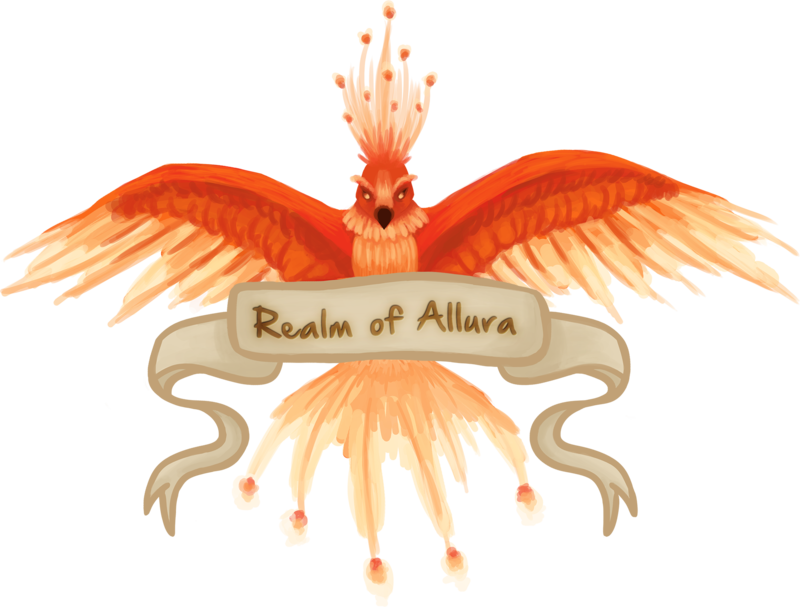 A union of sorts was to be formed which was to be known as ‘‘The Northern Alliance’’, which would serve to counter balance the rising power of Valkoria and the southern nations of the Iron Concorde it had recently joined. A tournament was held in Roklavia as an event for each of these nations to show their martial prowess before entering in an alliance with one and other. Sadly, the tournament was cancelled half way through, as well as the diplomatic meetings that would follow. The next day, after the foreign dignitaries had left Roklavia, other worldly monsters hell bent on murder began to emerge in its capital, which eventually overpowered the entirety of the nation, and slaughtering the majority of the population before they even realised what was happening. Some refugees who made it out with their lives blame their Queen of Vampirism, and say it was she that opened the gateway to hell. Near around this time was when rumours of an equally technologically advanced nation to Kleriel in the south called Kaveh began circulating, saying their entire civilisation had picked up and vanished. Curious what possible cause they had to consider such a thing, Kleriel sent expeditions to Kaveh in hopes of uncovering what had happened, only to bump in to Valkoria, Kaveh’s old ally, once again. In a successful raid on Kurshid, Kaveh’s old capital, the Keelish employed the service of Danheim raiders to distract the Valkorians while Keelish operatives gathered data on Kaveh, and ‘‘procured’’ samples of whatever technology they left behind. With new insights gained from both Kaveh and Valkoria, Kleriel began developing bigger sea vessels as well as airships, armed with better guns and artillery. Keeping their magical abilities as an exploitable advantage, they built these new vessels with those in mind. Even though their airships were completely capable of propelling themselves using their redstone engines, sails were still attached so that they could make use of the winds, which they themselves could magically manipulate in their own favour. The infantry was armed with prototype guns, where as up until now, the non-magical troops mainly used swords, spears, and crossbows. The weapons ranged in style, there were bolt-action rifles using lead bullets as ammunition, as well as pulse-rifles, using energised redstone pulses to cut through flesh and armour, inspired by the mining lasers the Keelish had developed. Kleriel had also managed to weaponize the rockets the Keelish have only ever been using as a form of amusement to paint the sky with pretty colourful sparkles. They called it rocket artillery. After the successful raid on Kaveh under the directive of Kleriel, Danheim raiders have suffered heavy casualties, including the destruction of the majority of the ships that carried their troops there. Their leader, King Wesley Deniro, felt it fitting to declare Valkorians an enemy of not only nationality, but of race and faith as well. In the aftermath, and independent raid was launched to kill as many Valkorians in their own homeland as they possibly could, before returning home as heroes and collecting their prize of fame and fortune. Unfortunately for them, and all of the north, the raid was routed, and Valkoria was united with the rebels having worked out a truce with the sovereign emperor, and the usurper defeated, with a common threat on the horizon uniting what remained of their empire. Two years after the civil war, Valkoria declared war on Danheim and came north with its mighty fleet and army. Honoring their defensive pact with Danheim since before the fall of Roklavia, Kleriel joined in their defence. Kleriel occupied the strategic position known as ‘‘The Neck’’, the one entry point in to the Calledian sea from the north, between Vellanora and Nordrenya. As Valkoria came around Vellanora to circle around the north side, they spotted the blockade, and landed troops on its western side on Vellanora, in an attempt to march south to Maruba, who was percieved as a friend and potential ally of Danheim, and who was unwilling to have Valkoria have its way over the Calledian. They were met with fierce resistance of entrenched Keelish troops who successfully deflected and countered every offensive move the Valkorians attempted, eventually shoving them off back in to the sea all together. After the battle, the Valkorians retreated west to regroup and decided to strike north at Danheim directly. During that time, The Neck was struck by a surprise aerial assault by the thought to be lost civilisation of Kaveh. Using their superior aviation technology, jet planes, and missiles, they wreaked havoc upon the Keelish military stationed there, and ultimately saved the Valkorian fleet from being followed, encircled, and utterly destroyed. Unfortunately for Danheim, this meant the nords would loose the remainder of their fleet, with no aid from Kleriel in sight. The ground invasion of Danheim had entered a stalemate when the Valkorians were called to retreat, and returned home. The enemy left, which was an obvious victory for Danheim, while their fleet was destroyed and their port in flames, which meant mission complete for Valkoria. Peace was signed shortly after Valkoria left Danheim, and a peace summit was held in Meridian, the capital of Kleriel, where a truce was agreed to, as well as further details that served to keep Valkoria and Danheim away from each other. Kleriel had to dissolve its defensive pact with Danheim, and Valkoria had to leave the Iron Concorde. At the peace summit, it was revealed that it was Kaveh that bombed The Neck from the air, and that it was meant as a means for the Kavehan people to repay their ages long debt to Valkoria, when they saved their ancestors from prosecution when they fled their homeland after a failed rebellion. However, Valkoria assured Kleriel that they did not ask for their help then, and that they do not approve of the action. In spite of which, Valkoria had resumed relations with their old ally, eager to get their hands on their newfound technologies they brought along with them upon their return. The Kavehans retook their old capital of Kurshid, and rebuilt it in to a modern city. The long isolated and dark arts oriented Ebongraspian empire finally succumbed to the disspleasure of its people in a violent revolution that saw the government dismantled, the old god forsaken, and formed a Republic in their wake.